Make it your year with a photo calendar. We’ve got a whole range of sizes and designs to choose from, so you’re bound to find one that’s right for you. All our calendars and diaries can be personalised with photos, themes, and your family’s birthdays and anniversaries to make your own year special, or to create the perfect gift. 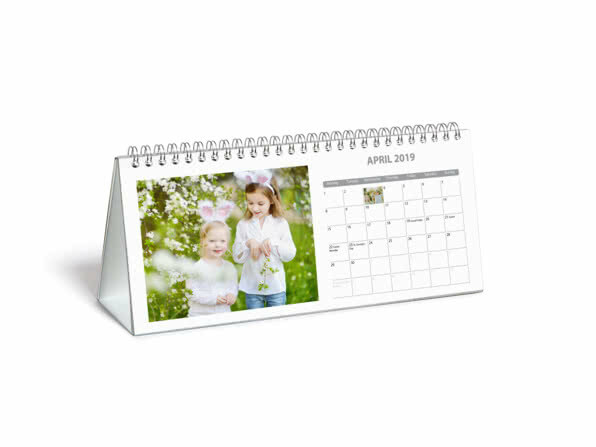 As well as your favourite snaps, our photo calendars are customisable with background themes including different patterns and colours. You can use our travel theme to bring out your holiday photos, or go for a bright and fun theme like fruits and veggies for your kitchen. Whatever your style, you can personalise your calendar to suit you. 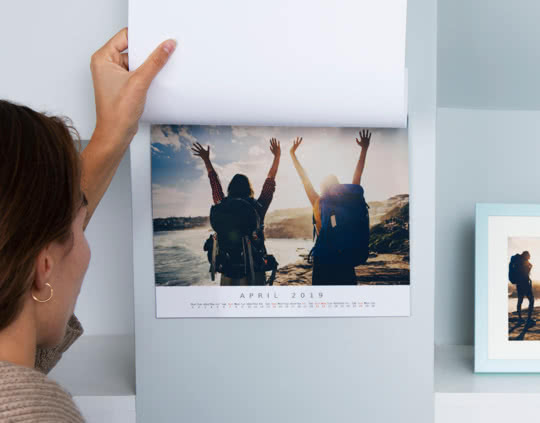 Create your personalised photo calendar in a size that fits your space. Choose from A4 or A3 size wall calendars, a slimline calendar that fits anywhere or a desk calendar for the office. 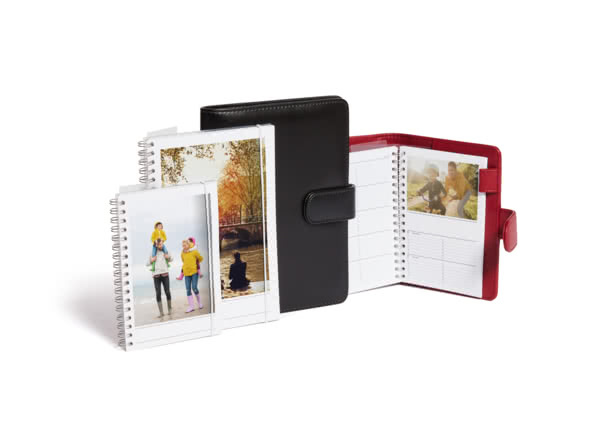 If you prefer to carry your schedule with you, choose from our range of personalised photo diaries. 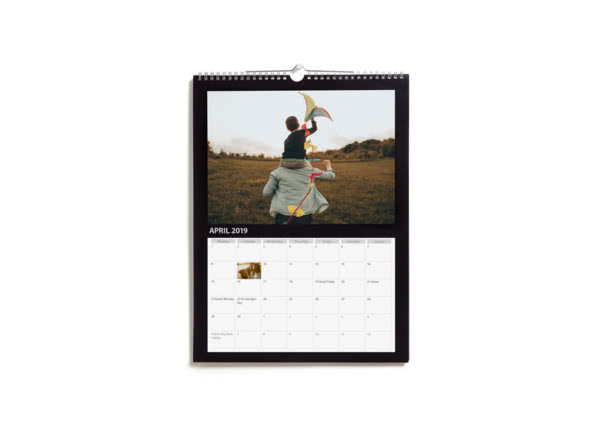 Just like our calendars, diaries can be customised with at least one photo for each week. Our photo diaries also come in a range of styles and sizes, perfect for any lifestyle. Yes – we call this Photo Days. For just £3 more, this lets you personalise as many dates as you want with a photo and/or caption. They certainly are. Our Calendars show all UK Bank Holidays.